Google has nothing on the list that it can not solve. The company is abundant in experts with solution to every complex computer problem in the book. But, then again, Google too could not secure itself from the most complicated issue in human life – love. 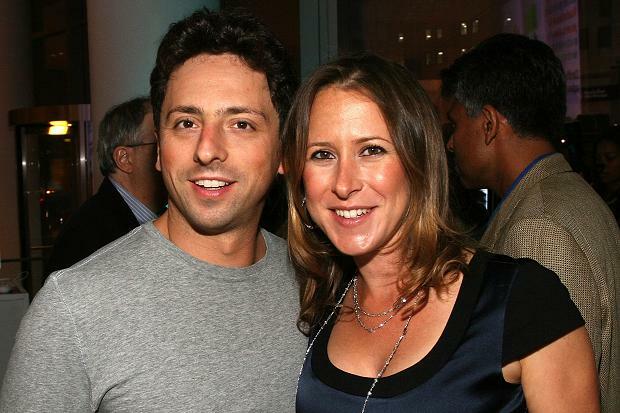 Recent news reveals that Sergey Brin, Google’s billionaire co-founder has split from his wife because of his involvement with a much younger employee. Mr Brin and his wife, Anne Wojcicki, both at 40, were always considered as the most powerful couple in the Silicon Valley. They were always seen to be working together on business ventures and philanthropic efforts. They have been married for long six years and have two lovely children. “They have been living apart for several months. They remain good friends and partners,” a spokesman for the couple revealed. It is rumored that $23 billion worth Mr Brin has been dating Amanda Rosenberg, 26, a marketing manager for Glass, Google’s futuristic spectacles. The making of this product is considered to be behind the split of the couple. Since the product is masterminded by Mr Brin, the pair has to spend a lot of time together promoting it. They were caught on camera together at the New York Fashion week earlier this year. Ms Rosenberg has been working with Google since 2008 and moved to California from London early last year. Ms Rosenberg is also rumored to have a previous relationship with Hugo Barra, one of the leaders at Android, Google’s software for mobile devices. Mr Barra announced in a recent event that he was leaving the internet company to join Xiaomi, a Chinese phone-maker dubbed the “Apple of China”. This came as a shock to industry observers who say that his departure will leave a large hole in the leadership of the company. However the company stated that “We wish Hugo Barra the best … We’ll miss him at Google.” He was one of the public faces of Android and was seen at all leading public events. It was under his leadership that turned the mobile software into the world’s leading system for smartphones. The dissolution of Mr Brin and Ms Wojcicki’s marriage is definitely a personal calamity but certain commentators are in the view that the break-up could have implications for the running of Google and the couple’s joint ventures. All Things Digital, the technology website that first broke news of the split, states it as a difficult and fraught situation for Google. Prior to the divorce, the couple is believed to have signed a prenuptial agreement which said that the ownership of Google, controlled by Mr Brin and his co-founder, Larry Page, will not be affected at any cost. Mr Brin holds nearly $21 billion worth of Google shares, the majority of which is a higher class of stock that provides greater voting power. Another report from US media informs that Mr Page and Mr Brin are planning to issue a new kind of Google stock, so they can sell more shares without having to give up on the control of the company. Mr Brin and Ms Wojcicki are co-founders of 23andMe, a genetics company where Ms Wojcicki is chief executive. This company provides DNA testing kits to help users detect health malice. The couple also each contributed $190 million to their philanthropic Brin Wojcicki Foundation. Susan, Ms Wojcicki’s sister, Google’s advertising head, is considered to be one of the internet company’s most powerful executives. She is one of the oldest Google employees and is believed to have introduced Mr Brin to her sister.